Ive not "blogged" for a while and thought it was about time i brought things up todate. 2010 seemed to fly in after our little girl Eilidh arrived at the end of February. Nearly a year on and shes up and about walking. 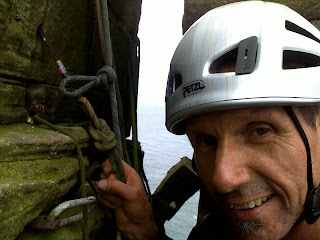 Work continued through the summer with a trip to Hoy and the Old Man. 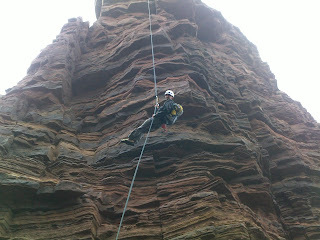 Terry and I were lucky with the conditions finding dry rock throughout. 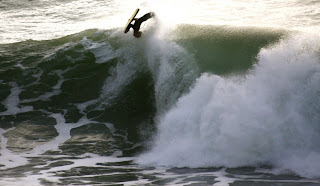 I found a new sport in bodyboarding which along with biking kept me fit through the Autumn, Aileen managed to catch the above shot of me in December ;-), looking forward to getting back in the water in the Spring.